Buddha bowls make for a nourishing and satisfying dinner or an incredibly healthy and delicious packed lunch! What exactly is a Buddha Bowl? 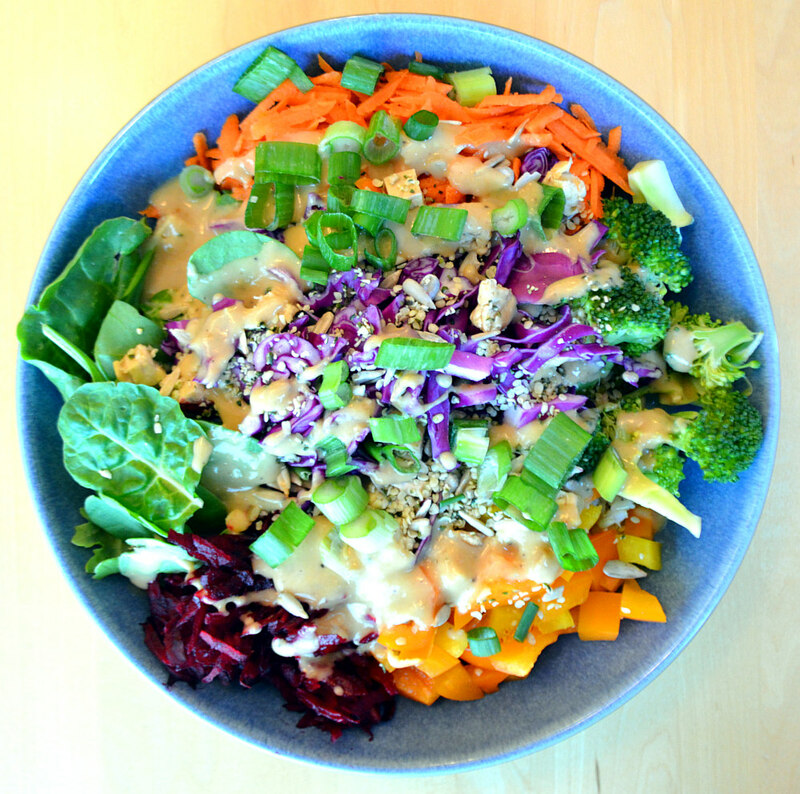 A Buddha Bowl, which may also be referred to as a Glory Bowl or Dragon Bowl, is filled with healthy whole food ingredients that often include fresh veggies, greens, nuts or seeds, and rice or quinoa. Drizzle with a savoury sauce and you are set with a deliciously simple meal that’s certain to impress! While I was attending my naturopathic schooling in Vancouver I’d pack a Buddha Bowl for lunch quite frequently. They’re low-cost and easy to throw together, which makes them perfect for student life! If you make a big batch (as I have in this recipe) you will have leftovers for days! 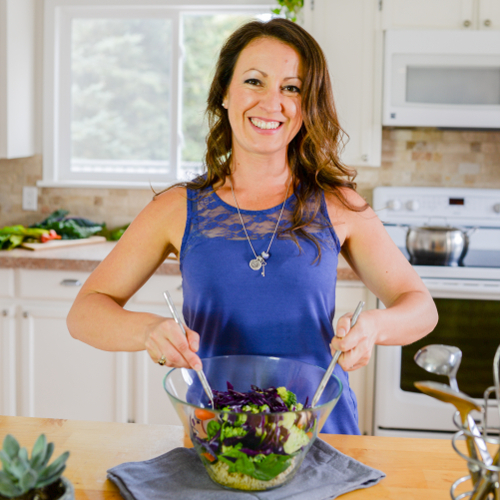 While I was attending my naturopathic schooling in Vancouver I’d pack a Buddha Bowl for lunch quite frequently. They’re budget-friendly and easy to throw together, which makes them perfect for student life! If you make a big batch (as I have in this recipe) you will have leftovers for days! Since leaving Vancouver, my love for Buddha Bowls somehow slipped my mind. Thankfully that love was recently rekindled when our friends treated my husband and I to a delicious Buddha Bowl dinner! Since our visit to their home only two weeks ago I’ve made three big batches of Buddha Bowls to test my recipe and to perfect the sauce! Needless to say, I’ve been making up for lost time! There’s no right or wrong way to make a Buddha Bowl and they are a great way to use up leftover veggies in your fridge! The general formula to build a Buddha Bowl is to add approximately equal portions of rice and each of the veggies to your bowl. In my recipe this includes brown rice, peppers, shredded beets, shredded carrots, steamed broccoli and red cabbage. Then you’ll top with a generous sprinkle of heart-healthy sunflower seeds and hemp seeds. Optionally you can add tempeh, pickled ginger, spinach or kale and sprouts for a fully packed, nutritionally dense bowl. I will often add all of the ingredients listed in the optional section of the recipe card below! If you are serving a crowd and would like them to build their own Buddha Bowl, I suggest setting out all of your ingredients in separate bowls to create a self-serve bar. If you’re instead packing healthy lunches, mix all of the ingredients together in your container except for the greens, sprouts and dressing. 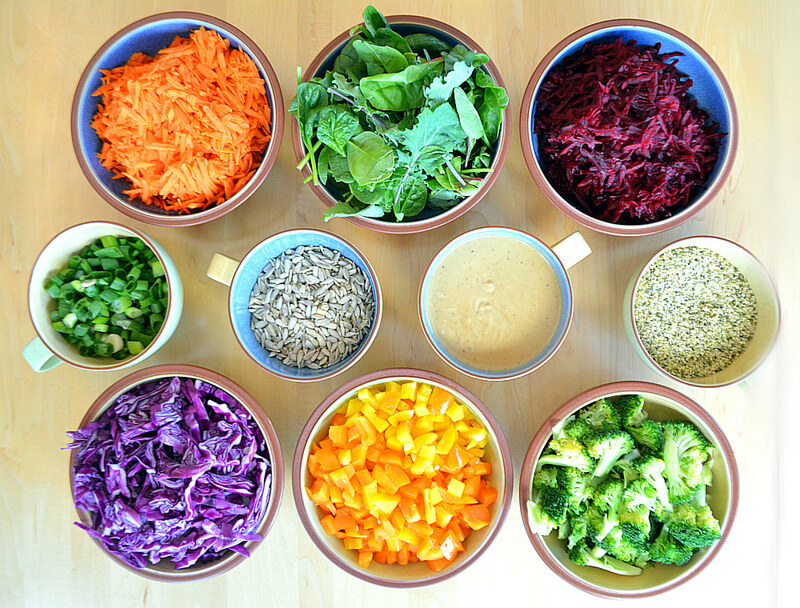 You can pack these ingredients separately and add them to your Buddha Bowl right before eating. This keeps the bowl tasting fresh! If you chop all of the veggies but don’t make the Buddha Bowls right away you can anticipate that they will stay fresh for 4-5 days in the fridge. If you mix all the veggies (except the greens, sprouts and dressing) into pre-prepared Buddha Bowls then I suggest eating them within 3-4 days. The savoury sauce I concocted for this bowl gains its flavour from miso. If you haven’t yet tried miso, prepare to have your tastebuds tantalized! Miso is a traditional Japanese food that’s made from fermented soybeans. It’s quite salty and has a rich, nutty flavour and a creamy texture. There are different types of miso and the flavour will vary if there are other grains added to the fermentation. I use Genmai Miso from the brand Amano Miso, which I love! The Genmai variety of miso contains brown rice in addition to soybeans, which gives it a rich taste and darker colour than other varieties of miso. Amano Miso is an organic brand, which means the soy they use hasn’t been genetically modified or sprayed with harmful pesticides. Tempeh is another an optional addition to this recipe and is also a fermented soy product. It makes for a great source of protein and contains approximately 15 grams per half-cup serving. It’s also a good source of bioavailable calcium and contains approximately 90mg per half cup of tempeh. Since the soybeans in both miso and tempeh have been fermented, their nutrients are easier for your body to absorb and the protein they contain is more easily digestible. I used the organic tempeh from Green Cuisine, which is pre-cooked and ready to serve. Although it’s already pre-cooked, you may optionally still choose to heat it prior to serving by steaming, baking, grilling or panfrying it. If your tempeh is not pre-cooked, please cook it as directed on the package. 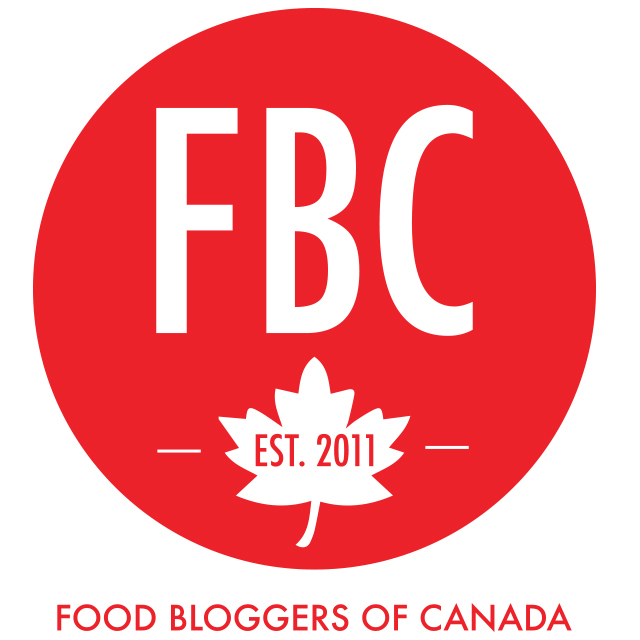 This website provides additional information on cooking tempeh. My suggestion for this recipe would be to slice the tempeh and panfry it over medium/high heat for 2-3 minutes per side before chopping it into smaller pieces for the Buddha Bowl. Soy – Health Food or Health Hazard? Non-organic soy products should always be avoided. They are genetically modified and heavily sprayed with pesticides. Organic, fermented soy products are the healthiest choice. It’s these foods that are associated with a decrease in cancer risk in traditional Japanese populations. Fermented soy products include tempeh, miso, natto and natural soy sauce or tamari. 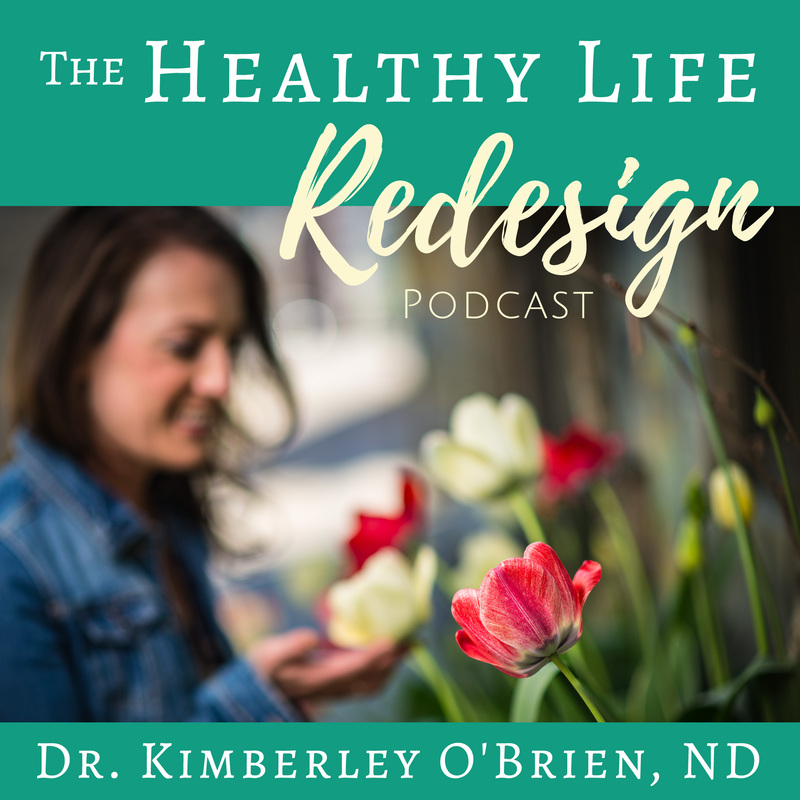 The fermentation process breaks down many of the undesirable compounds that soy otherwise contains and provides a great source of healthy bacteria for your digestive system. ** Please note that if you are sensitive to soy then you should avoid all soy products, regardless of whether they are organic or fermented. 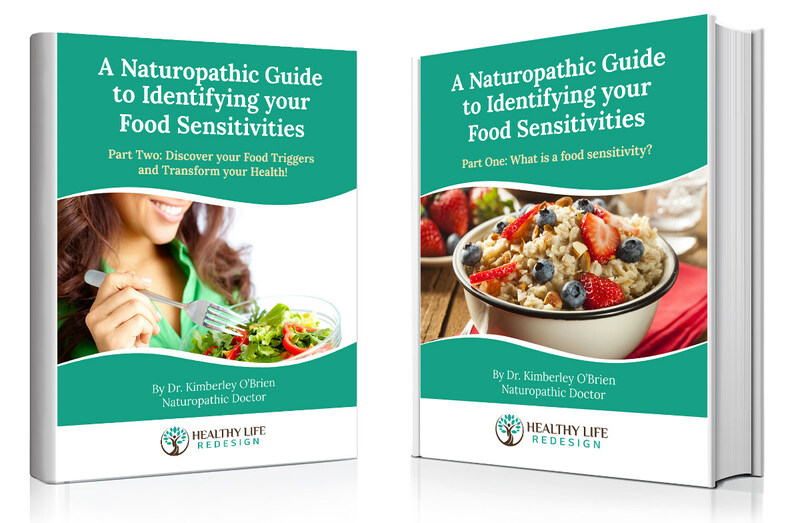 I highly encourage you to read my free eBook – “A Naturopathic Guide to Identifying your Food Sensitivities” to learn more about how food sensitivities may be at the root of many of your chronic symptoms like fatigue, joint pain, migraines, acne, IBS and bloating. If you are sensitive or allergic to soy you can still make this recipe by purchasing chickpea miso instead of the traditional soy-based miso. You can use coconut aminos in place of the soy sauce and should also omit the tempeh (this can optionally be replaced with another protein like chicken, shrimp or chickpeas). This recipe makes a lot of food! If you’re cooking for one or if you prefer not to have a lot of leftovers you may optionally cut the recipe in half to yield 4 Buddha Bowls. Please comment below to let me know how you enjoy this recipe, and be sure to rate it by clicking on the stars in the recipe card! Enjoy your Buddha Bowl! Cook your rice as directed on package. Cut and prepare all vegetables as described in the ingredients list. Lightly steam the broccoli (2-3 minutes) or boil it for 60 seconds (this is optional, but improves digestibility). Prepare the Savoury Miso Sauce by adding all ingredients to a blender and processing on high until smooth. If you are using tempeh and it's labelled as pre-cooked and ready to serve, you may serve as-is or you can warm it by baking, steaming or panfrying it. If it's not pre-cooked please ensure you cook it as directed on the package. At this point you can either prepare several Buddha Bowls or you can store all the ingredients in the fridge separately to make fresh Buddha Bowls as desired. If you’re serving a crowd and would like them to build their own Buddha Bowl you may set out all of the ingredients in separate bowls as depicted in blog photos. 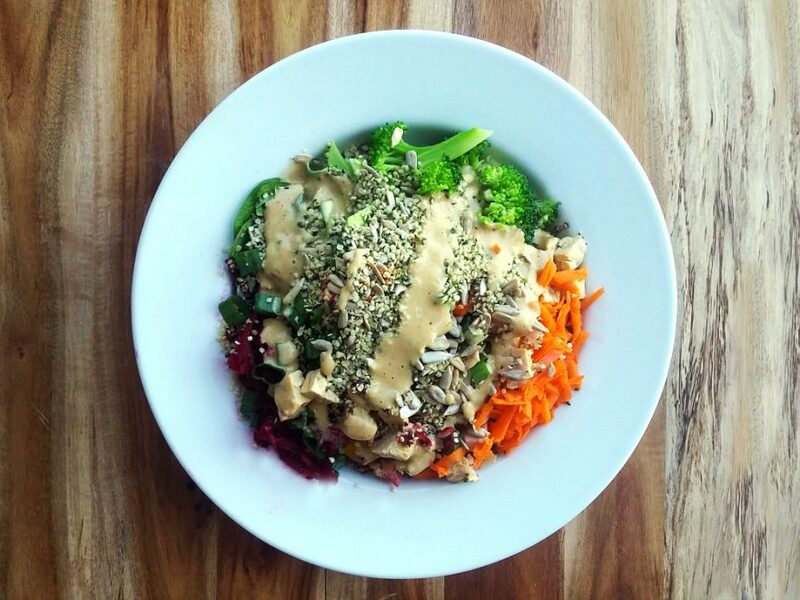 To build your Buddha Bowl, add approximately equal portions of the rice and each of the veggies to your bowl. This includes the brown rice, peppers, shredded beets, shredded carrots, steamed broccoli and red cabbage. Top with a generous sprinkle of sunflower seeds and hemp seeds. Optionally add your tempeh, pickled ginger, green onions, spinach or kale and sprouts. Top with a ¼ to 1/3 cup of the Savoury Miso Sauce per bowl. You can use more or less depending on how saucy you would like your bowl to be… I like mine saucy! Stir well to mix in your dressing and combine your ingredients. If packing lunches for the week, you can mix all of the ingredients together except for the greens, sprouts and dressing to keep the bowl tasting fresh! You can pack these ingredients separately and add them to your Buddha Bowl right before eating. If you’re packing a bowl that will be eaten within the following 24 hours you may optionally mix everything together right away. Once the ingredients are chopped they stay fresh in the fridge for 4-5 days or 3-4 days once combined into a Buddha Bowl. if you enjoyed this recipe, please like & share! Wow, I followed the recipe for the miso sauce to the letter and I must say, it knocked my socks off. I almost NEVER make a recipe as its printed but this one had a good feeling about it. Its perfect for my tastebuds and a boon to my healthy eating life. Thanks so much for this. Even my extreme meat eating Honey loves it. That’s saying something! You know, I’ve never had a buddha bowl before! They look like a deliciously savoury version of a smoothie bowl, in a way. I’m loving the equal portions of quinoa/rice and veggies, though. Sometimes it’s so hard to fit all the fruits/veggies needed into your diet, especially when you work, but this seems easy to prepare, filling and pretty cheap. Mmmm you’ve got to try one! They are sooo good and definitely a great way to get at least 5-6 servings of veggies in one sitting. Can’t go wrong there! Let me know what you think if you try the recipe Cassie! Yum! Such a beautiful, healthy meal. Soy is so interesting eh?! I used to avoid it at all costs since I have PCOS and read about the potential of it being an estrogen blocker. But now other readings have led me to reintroduce it but only organic, non-gmo products. Still a toss-up to me! I agree! There is definitely a lot of conflicting information on soy products. I think you are definitely on the right track with choosing only organic products. Fermentation is also helpful because it changes the nutrient profile of soy, which decreases it’s effects on estrogen compared to products like soy protein isolate, soy milk, etc… Fermentation also breaks down much of the phytic acid naturally present in soy, which otherwise inhibits the absorption of other nutrients and minerals. It also introduces gut-friendly bacteria to our diet. Choosing organic, fermented soy products and consuming them only in moderation is my overall rule (again, unless someone determines they have a sensitivity to soy through an elimination diet or food sensitivity testing). Have a great weekend Dylan! Yum. Always love a good vegan bowl. 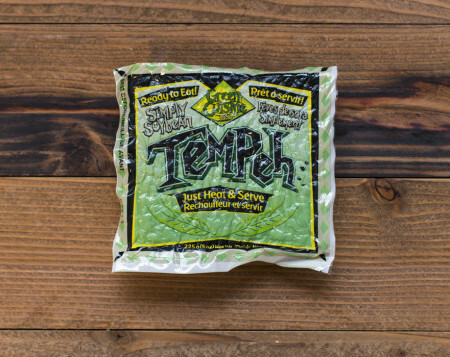 I am surprised you don’t cook your tempeh? Or did I miss that step?? Hi Janet! I used pre-cooked, ready-to-serve tempeh. I’ve modified the instructions to mention that it can still optionally be heated, and that if your tempeh is not already pre-cooked that it needs to be. Thanks for pointing that out! Very informative and Buddha bowls are new to me. Looks delicious and love the idea of a self-serve bar for a crowd. Thanks Evelyne! They definitely make a healthy yet delicious meal to serve to a crowd. People love putting together their own bowl and get excited about it because often it is something they’ve never tried before! First of all, these Buddha Bowls are stunning. I just love the name – Buddha Bowl – it sounds wholesome, balanced, and made to make things simple, which is clearly everything this bowl is about. I also love your choice of dressing. Savory dressings are my favorite – I’ve never been as much of a fan to the sweet ones. I can’t wait to try this! Further, I love how informative this post is. A few months ago I’d been reading about the controversies with Soy products. I wanted to write an article about it for Killing Thyme, but I became a bit overwhelmed with all of the information available out there. It’s hard to know what to believe sometimes. You’re clearly well-educated and well-versed on all of this and that is really refreshing to see! Thank you so much for your compliments! Buddha Bowls have become a staple again in my home…they’re just so easy to throw together and are so absolutely delicious! Please let me know how you like the recipe once you give it a try! I’m also happy to hear that the information on soy was helpful for you. I agree, there is a lot of contradictory information out there! Have a great weekend Dana! You had me at all those bright colours!!! I have yet to try tempeh, I think I should get on that soon and with that delicious sounding sauce, too!! !